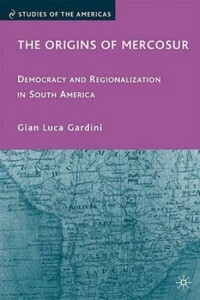 The processes of democratization and regionalization in South America ran parallel to one another between 1985 and 1991. However, the nature of this relationship is by no means clear. This book explores the diplomatic history of the formation of Mercosur and analyzes the precise place of democracy in the process. At the methodological level, a combination of hitherto unexamined documents and extensive interview material makes for a novel oral history approach to diplomatic studies. At the theoretical level, a melding of cognitive approaches to foreign policy making and realist theory of international relations provides a nuanced but systematic explanation of events.